Change has already come to the United States since last week’s Election Day. The results brought a swift shift in the direction in which our country seemed to be moving, washing in a wave of hate-fueled acts as well. With concern over the future of civil rights having rightfully spiked, there could not have been a better time for March: Book Three to win the National Book Award for Young People’s Literature. A graphic novel created by Congressman John Lewis, Andrew Aydin, and Nate Powell, the book is the third and final installment in a series on the civil rights movement. Like its predecessors, March: Book Three offers readers an accessible and powerful look at the movement, including its history, philosophies, and legacy. 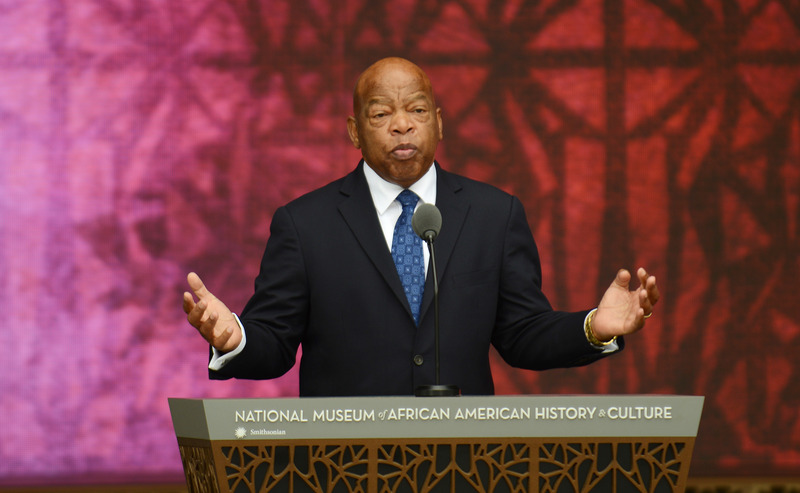 As a key figure in the movement and a black man, Lewis knows firsthand how far we’ve come. When he collected the award with Aydin and Powell on Wednesday, he recounted the time a librarian refused to let him have a library card because they were for “whites only.” For him to now be a National Book Award winner is proof of his — and millions of others’ — hard work paying off. However, with racial inequalities still present and tensions growing, our work isn’t done. March: Book Three is a necessary reminder of the progress still to be made and the struggles that we can overcome.